Signature Artist has a new smart look with Hexagon Cap. 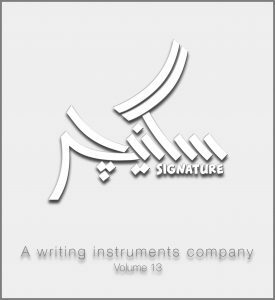 Aftab Sons Writing Instruments Industries Attended Stationery & Paper show’18 at International Rawal Expo. Signature Katib has a new smart look Hexagon Cap. Signature Soft Feel Ball point pen is now available with rubber grip and smooth as “Malai” flow for your writing comfort.